I still remember the days before I had Steam. I used to share an account with my husband, so I never saw all the sales, didn’t get those emails saying that games in my wish list were on sale. Now, I have to practice all the self control, because I could easily buy far too many awesome games, especially at these prices. 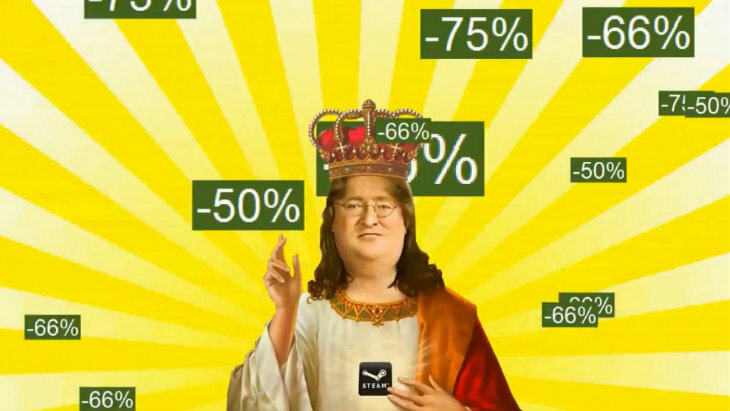 Steam is currently offering stupid discounts on a variety of beloved games. Still need to play the Witcher or Dark Souls? Now is the time to pick them up for next to nothing. And, just like that, I just helped to restock your backlog. I need to get rid of my wish list so that Steam doesn’t have such an easy way to taunt me with cheap games that I desperately want. This isn’t even the Steam Spring Sale – then I can really say goodbye to any sense of accomplishment or completion regarding my backlog. If you still haven’t played these games, I highly recommend you do so. I thoroughly enjoyed The Walking Dead – it was such a strangely emotional experience, even if Darryn calls it “pick your death” game. Plus, do I need to remind you that The Witcher 3 is coming? Time to catch up on what you’ve missed in the first two games. I’m reading the books at the moment, which is making my body even more ready for the game.